I would like to propose that someone perform a series of studies regarding living a low carbohydrate/high fat diet and its effect on inflammation-related eye disease. I read The Art and Science of Low Carbohydrate Living: An Expert Guide to Making the Life-Saving Benefits of Carbohydrate Restriction Sustainable and Enjoyable by Drs. Stephen Phinney and Jeff Volek. An interesting conclusion is how our bodies become carbohydrate intolerant as we age, which pushes many people into metabolic syndrome, diabetes, and hyperlipidemia. It turns out that carbohydrates, by taxing our insulin response, cause inflammation. Hence, the American Heart Association’s war on fatty food is misguided (see Good Calories, Bad Calories by Gary Taubes) because dietary fat is only bad in the presence of too much carb intake. While there are some high omega-6 oils which increase inflammation, it is easy for people on Very Low Carbohydrate (VLC) diets to intake the good fats like olive oil, canola oil, high-oleic safflower oil, butter, animal fats, and coconut oil. In VLC diets, your daily Caloric intake is approximately 80% fat, 15% protein, and 5% carbohydrate. Recent research, CE lectures, and trade articles have been advising us to tell our patients to increase their omega-3 fatty acid intake via Fish/Flaxseed oil pills. 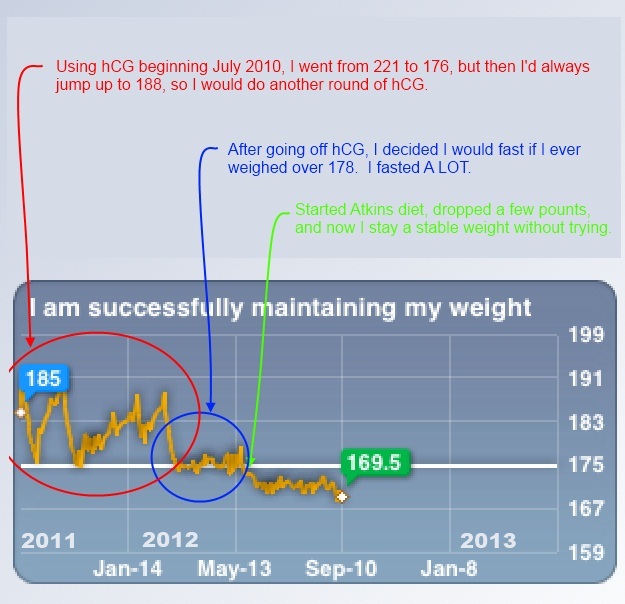 With the latest research coming from Dr. Phinney et al, wouldn’t it be more responsible to educate them regarding the New Atkins/Paleo/VLC diets? VLC diets are already proven to tighten diabetes control which we know decreases incidence of diabetic retinopathy. Logic tells me that Atkins/Paleo/VLC will soon be proven to reduce incidence and/or severity of macular degeneration, dry eye syndrome, and any eye condition related to inflammation. So, anybody want to do some studies? 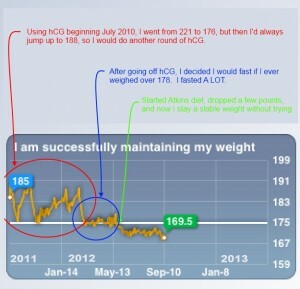 In 2010 I lost 35-45 pounds using the hCG diet, but could never keep off the last 10 lbs, so in 2012 I switched to the New Atkins. 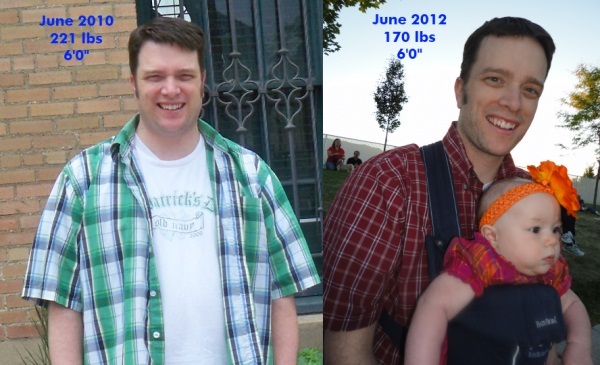 Now I easily maintain a 50 lb weight loss (221 to 170), and my body doesn’t even crave things like pizza and popcorn. Also, if you click on the links above and actually buy a book, I get a tiny referral bonus from Amazon. Dr. Langford’s weight loss history.